Droperidol Sintetica® is mainly used as antiemetic agent. The antiemetic effect is a result of the blockade of dopamine stimulation of the chemoreceptor trigger zone. Droperidol is indicated for prevention and treatment of nausea and postoperative vomiting (PONV). 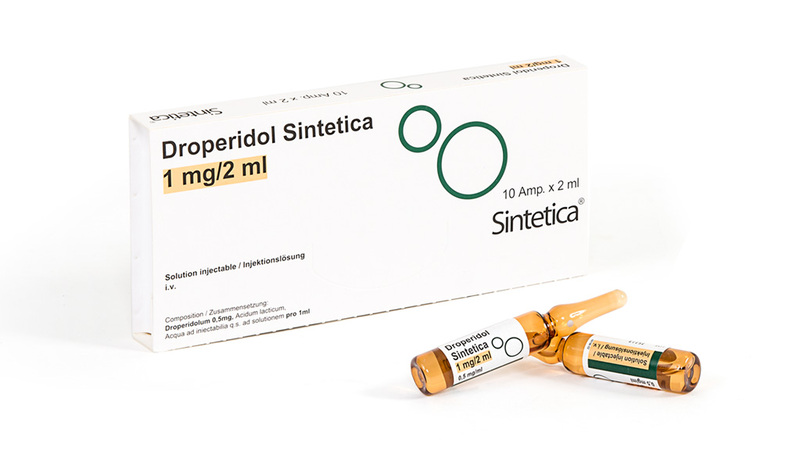 Droperidol Sintetica® is a ready-to-use injectable solution.